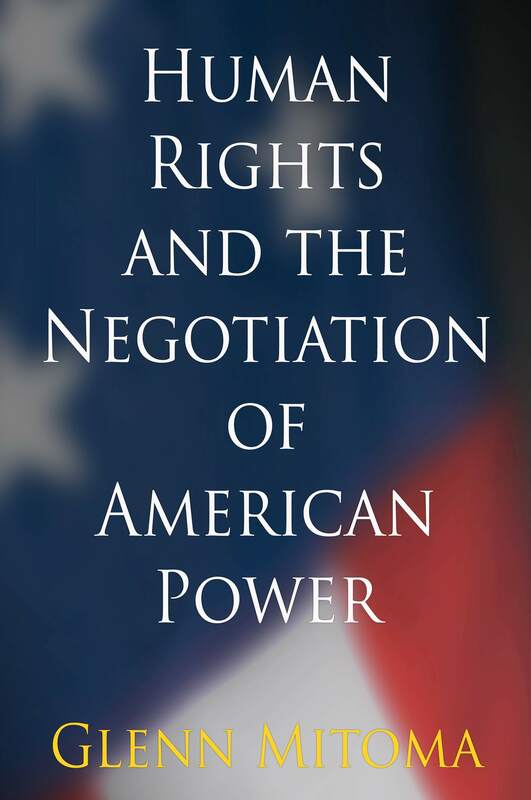 New book now available by HRI’s Dr. Glenn Mitoma: Human Rights and Negotiation of American Power. In his new book, published by University of Pennsylvania Press, Dr. Mitoma argues that the American attitude toward human rights is inconsistent, even hypocritical: while the United States is characterized (or self-characterized) as a global leader in promoting human rights, the nation has consistently restrained broader interpretations of human rights and held international enforcement mechanisms at arm’s length. Human Rights and the Negotiation of American Power examines the causes, consequences, and tensions of America’s growth as the leading world power after World War II alongside the flowering of the human rights movement. Through careful archival research, Dr. Glenn Mitoma reveals how the U.S. government, key civil society groups, Cold War politics, and specific individuals contributed to America’s emergence as an ambivalent yet central player in establishing an international rights ethic. Dr. Mitoma focuses on the work of three American civil society organizations: the Commission to Study the Organization of Peace, the National Association for the Advancement of Colored People, and the American Bar Association-and their influence on U.S. human rights policy from the late 1930s through the 1950s. He demonstrates that the burgeoning transnational language of human rights provided two prominent United Nations diplomats and charter members of the Commission on Human Rights–Charles Malik and Carlos Romulo–with fresh and essential opportunities for influencing the position of the United States, most particularly with respect to developing nations. Looking at the critical contributions made by these two men, Dr. Mitoma uncovers the unique causes, tensions, and consequences of American exceptionalism. “Human Rights and the Negotiation of American Power is carefully crafted and beautifully delving into the historical origins of the modern framework of international human rights as an organizing principle of the postwar order. In revealing new historical material on the influence of U.S. nongovernmental organizations in the 1940s, Mitoma provides a more complicated intellectual history for the UN human rights system than previously assumed. This is a major to our understanding of American foreign policy and how it has been both embraced and contested.”-Richard A. Wilson, University of Connecticut. The views expressed in our blog are not necessarily the views of the Human Rights Institute at UConn.